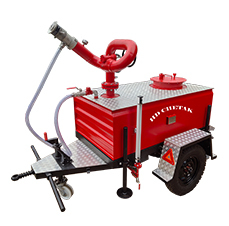 HD mobile equipment range consists of mobile foam units, mobile trolleys, trailer mounted monitors with foam tanks. 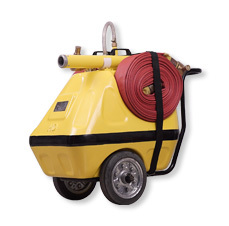 HD mobile foam unit is a fully self-contained unit which has been developed for the rapid deployment of foam extinguishing system to fires in high-risk places such as loading terminals, oil storage and handling areas, boiler rooms, engine compartments, and areas susceptible to chemical spills. 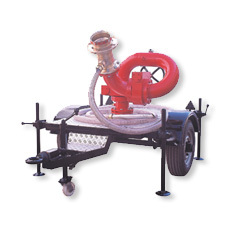 The inline inductor and foam branch pipes used with HD mobile foam units are FM approved. Various HD monitors can be mounted on trailers making those special mobile units. Please refer to product catalogues for technical specifications. 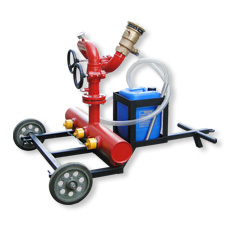 As some of these products are custom designed, please contact sales for more information.